GB Handicraft LLP (GBH) formation starts with the thinking of providing quality and natural product to the people. GB handicraft LLP works for providing healthy, Ayurvedic, non-synthetic, quality and unique product to its customers. GBH is an organisation to promote the handicraft work of India by using its brand name and marketing them in the domestic and international market. GBH focused on promoting Indian handicraft industry to the higher level and making Indian handicraft as a branded handicraft zone. GB Handicraft LLP is the limited liability partnership company registered on 2nd May 2016. GBH has started its work through registering its brand names XPPEAL & XPNEA. 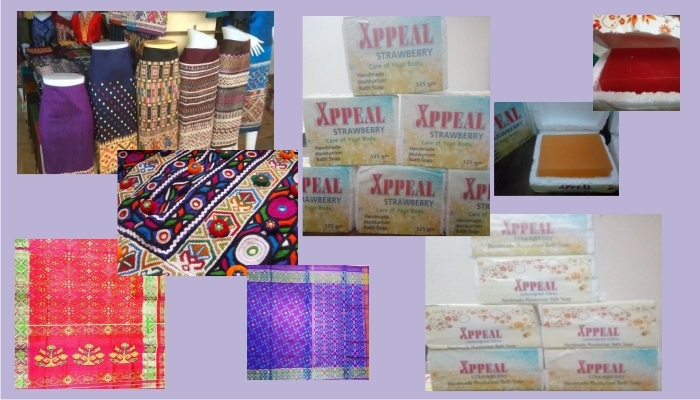 XPPEAL is a trademark registered for the handicraft FMCG products like Bath Soap, Cosmetics, etc. "GB Handicraft works for Quality Indian Handicraft as Best Quality is always appreciated as well as Indian Handicraft is also treated as the synonym of Best Quality in the World"
"To provide unique & conceptual design and natural products to our clients"
"To promote and provide quality and modern Indian Handicraft work and its product"